Snowy February is prime time to think of roses. Why? Because it is almost Valentine’s Day and roses are everywhere as gestures of romantic love. Years ago, in NYC’s East Village there was a place called Chez Es Saada, A Moroccan themed restaurant on two floors. The bar and entrance were on street level and access to the catacomb dining room required that one walked down a circular stone staircase strewn with rose petals. Despite not having any steady romance going on of my own at that time, I went there frequently for drinks and the rose petals which were beautiful beyond belief and a lovely gesture that added a dash of glamour and excitement to my life. In addition to being closely connected to all things amour, shrub roses have benefits beyond bouquets and candied cake toppings. They offer love to birds and wildlife and to your pocketbook because unlike fussy English roses, they are easy to establish and maintain. First, the ecological benefit of having shrub roses in the garden. Birds hang out, chit chat, eat and make nests in shrubs more than trees so if you are in the market for a shrub, why not make it a shrub rose? In addition to scented flowers, all shrub roses feature rose hips. These red, round fruits appear in late summer and early fall after flowering. 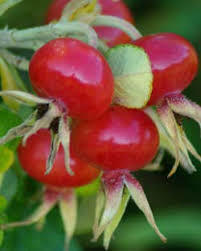 High in both essential fatty acids and vitamin C, rose hips are coveted by turkeys, birds and other wildlife. Humans also have learned to make rose hip jam and rose hip tea. During WW II the British government collected rose hips to produce rose hip syrup rich in vitamin C as a replacement for citrus fruits which were in short supply. Rose jelly, spread on toast is a mildly sweet and earthy treat. I often include roses in wild borders, hedgerows and larger more cultivated garden spaces. Specifically, rose shrubs like native Virginia Rose (Rosa virginiana), pasture rose (Rosa carolina), Prickly Rose (Rosa acicularis) and Swamp Rose (Rosa palustris). The first three are terrific for open, sunny sites – meadows, slopes and wild hedgerows that are of average to even dry garden soil. Clay? No problem. Swamp rose, as you might have guessed works well in moist situations. The flowers on all of these roses are similar – round and at about three and a half inches wide, smaller than English roses yet usually possessed of traditional rose fragrance. Two excellent non-native shrub roses are salt spray rose (Rosa rugosa) and the heirloom rugosa cultivar Blanc Double DeCourbet that blooms white. Both are highly fragrant. All of these shrub roses are tolerant of harsh conditions. 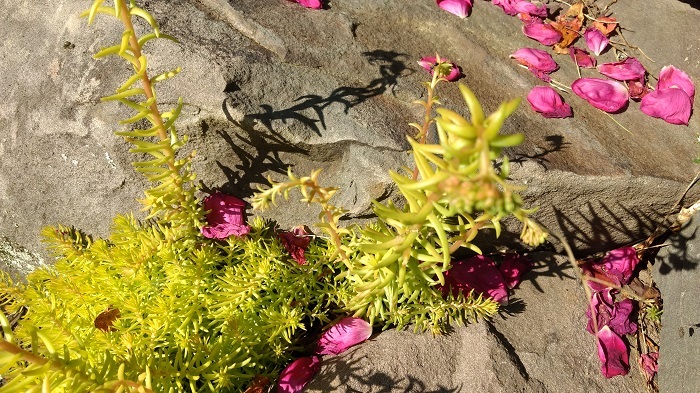 I’ve planted the naive roses in clay and hard pan with a layer of wood chip mulch on top and once established, they have spread even in times of extreme cold and drought. 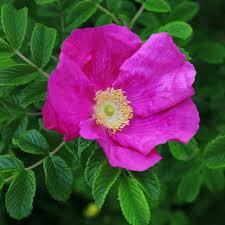 The rugosa roses are tolerant of wind and salt spray. Typically, these shrub roses mature from four to eight feet tall by four to six feet wide. 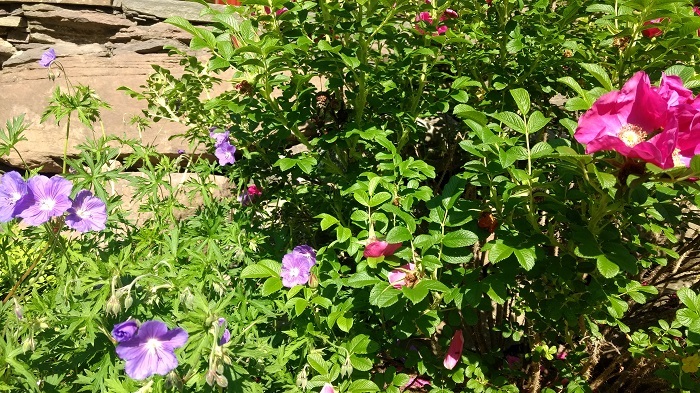 Hardy to Zone 4 and readily prunable (watch for the thorns) to maintain size or shape, shrub roses usually only come in white, purple or pink flowers but what they lack in bloom color diversity, they make up for in reliability and wildish romantic beauty. Available at most nurseries and locally at Catskill Native Nursery, Gallo’s of Woodstock, Augustine Nursery, Kern’s and Story’s Nursery.